There is a lot of primer but i can think only two at the moment,eye shadow primer & face primer. Eye primer is used to keep your eye shadow last longer and to stop it from creasing. It also makes the color of your eyeshadow more deep and intense. 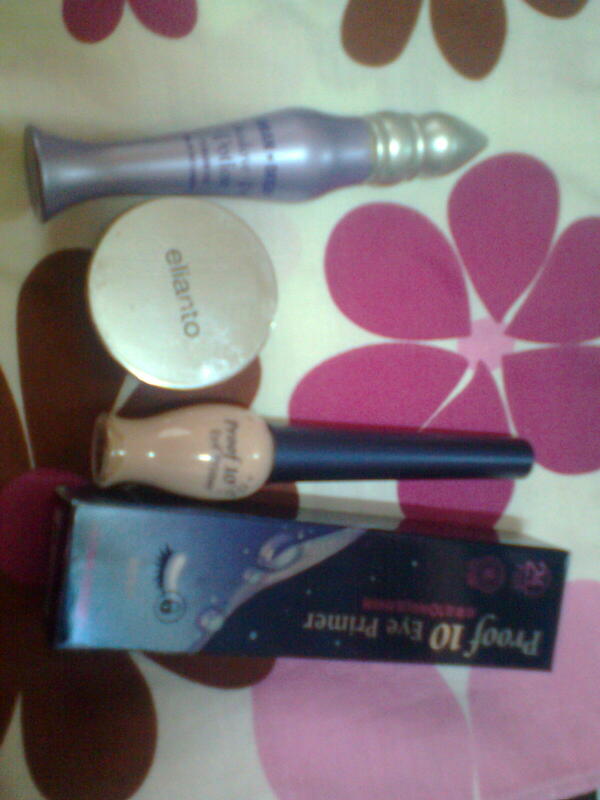 Well I’m going to write bout eye shadow primer cos i seriously believe your eye can change the whole look of your face. Why i made up such statement? Well in my case it’s true,i used to wear glasses and a girl like me can’t resist makeup.I put it on especially eyes,it made me look horrible and i stopped using eye shadow until i started using contacts 2 years ago,I gave my eyeshadow a try again..and failed. It’s not lasting,tends to get oily (our eyelid area usually during mid-day 12 noon and up)..the whole eye makeup messed up and i just hate it.Well,thanks to my hobby of reading people blogs and stuff i learn bout eye primer..I got all excited and get my self my first primer which i bought from elianto (it’s from korea).It’s ok,my eyeshadow finally makes a difference it pops out the way i wanted.People notice,people ask,but my shadow gets oily and it doesn’t last like how i wanted it to be.Again i went on a primer search and found the product that i so,so love which is URBAN DECAY PRIMER POTION.It’s a bit pricey,can’t buy it in Malaysia,i ordered it online and I’ve been using it for a year now.Bought another primer from etude house last night,cos the primer is on discount so,I’m going to give it a try..
Do you have your own favorite primer? This entry was posted in beauty, christmas, elianto, etude, life, makeup, shoppaholic, shopping, urban decay and tagged cosmetics, elianto, etude, eye primer, eye shadow, primer potion, urban decay. Bookmark the permalink.